Cardinal Barbarin of Lyon, France met with Pope Francis and presented his resignation. However, the Pontiff did not accept the resignation so the Cardinal will withdraw temporarily from the diocese. On Monday morning, I handed over my mission to the Holy Father. By invoking the presumption of innocence, he did not want to accept this resignation. He left me the freedom to make the decision that seems to me the best for the life of the diocese of Lyon, today. 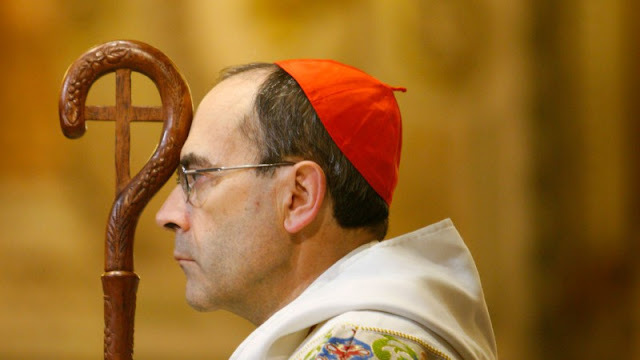 At his suggestion and because the Church of Lyon has been suffering for 3 years, I decided to go back for a while and leave the leadership of the diocese to the vicar general moderator, Father Yves Baumgarten. This decision takes effect as of this day.